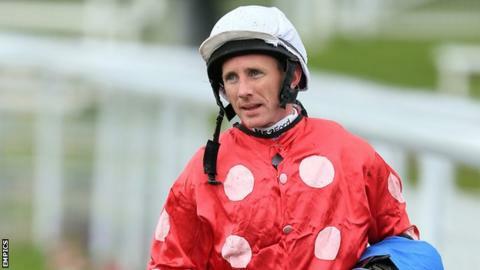 Paul Hanagan rode five winners at Warwick on Bank Holiday Monday. The two-time champion Flat jockey, 33, steered home Rise Up Lotus (2-1), Where The Boys Are (11-4), Ixelles Diamond (9-2), Munaaser (11-8) and Sahra Al Khadra (10-11) for a 280-1 five-timer. The Warrington-born rider missed out on a sixth success as Gold Class came fifth in the last race of the day. Hanagan, with 26 winners this season, was also given a two-day ban for careless riding on Where The Boys Are.